The chickens may already be coming home to roost in Europe. For some time Europe has had a very loose, inflationary monetary policy, so it should come as no surprise perhaps that inflation rates are already higher than expected. Europe may very well be the “canary in the mineshaft.” Other regions of the world, including the USA, have adopted very similar monetary policies. Investors should take notice and invest in assets that not only protect them from high inflation, but actually benefit from high inflation. Gold investments, rare gold coins in particular, are ideally suited for just such a purpose. They have historically outperformed paper investments during periods of high inflation. But the time to buy is now–before inflation shows up in earnest in US inflation gauges. Note that in the article linked below, several of the European Union nations are in recession at the same time that these inflation numbers have surfaced. The combination of inflation with recession is known as stagflation, an economic affliction that is particularly damaging to paper assets and positive for gold investments. No reasons for the increase were provided by Eurostat, as the figure was only a preliminary estimate, though higher energy costs are likely to blame. Marc Faber is one of the most respected investment analysts and has for many years published the Gloom, Boom, & Doom Report. Faber is also a frequent guest on TV financial news networks. “I think there is a huge misconception and fallacy that money printing can actually improve the rate of employment because the money flows down into the system. It goes first into the banking system and into financial institutions, into the pockets of well-to-do people. If you drop money into my pockets and you have at the same time increased government involvement in the economy and we have the government growing with its regulation and legislation that stifles economic development. I don’t want to build a new business. But what I may do is look around the world, where are the distressed assets. So I will go and buy existing assets, takeovers. But takeovers don’t add to employment. They destroy employment. Pay particular attention to the last line in Faber’s warning. He is predicting that the US Treasury will once again confiscate privately owned gold. He recommends owning gold outside the USA, but this is obviously both impractical and unwise. The better solution is to own gold in a manner that protects your wealth from gold confiscation laws. 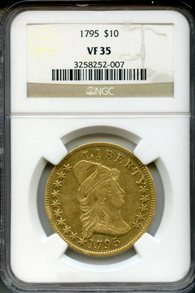 Rare gold coins fall outside the provisions in the gold confiscation regulations. We’ve been away for a while due to Hurricane Isaac and a few other duties, but the Mind Your Money blog is back up and running! We apologize for our absence. Since we last posted, gold has soared and now stands at a 6-month high. It seems all that talk of gold’s demise was premature. In fact, the price of gold is in positive territory for the year and, if recent news reports are any indication, gold will in fact be up on the year yet again for the 11th straight year. No other asset can boast such a track record. But gold is far from overvalued, especially this year. In fact, in real, inflation-adjusted terms, gold is still trading well below the levels it reached back in 1980-81, when the nominal price exceeded $800 per ounce. Among others, there are two major reasons why you should be bullish on the price of gold: QE3 and a European equivalent. Just in time for the elections, the Fed is turning on the flamethrowers to try to get the US economy moving. 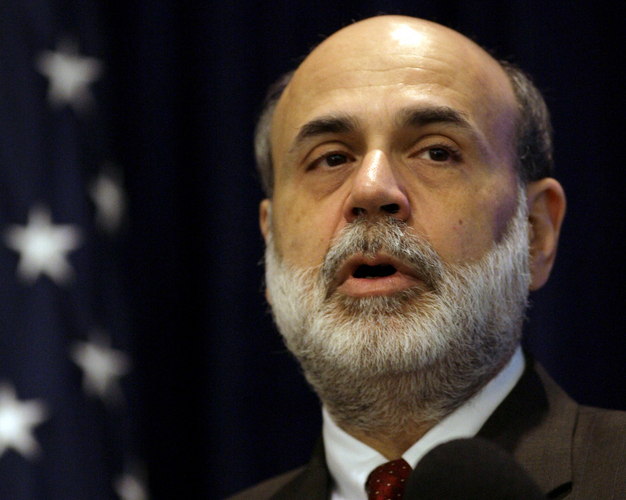 Fed Chair Ben Bernanke has alluded to a new round of monetary stimulus (QE3). Whether QE3 will succeed in boosting economic activity is certainly debatable. What’s NOT debatable is that QE3 will undermine the value of the US dollar further still, which is, at this point, the biggest factor impacting gold. On top of this, such monetary policy is inherently inflationary–at a time when gasoline and oil prices are once again moving sharply higher. This too is bullish for gold. But there is a new factor that was just added to the mix: the European Union just announced that the European Central Bank (ECB) will embark upon a stimulus policy of its own, in the form of bond buying, which will flood the world with more euros, another weakened fiat currency. This adds to the bullish scenario for gold. The policymakers at the Fed are clearly frustrated at the slow pace of economic activity and chronic high unemployment in the US and are also no doubt under intense political pressure from the Obama administration to act soon to boost Obama’s re-election chances in less than 3 months. What all this really adds up to, however, is a further undermining of the US dollar. These types of stimulus packages have been largely ineffective at boosting economic activity and lowering unemployment to acceptable levels. But one thing is undeniable: they increase the supply of US dollars in a world that is already awash in dollars. This has the impact of reducing the value of the dollar. That is why investors are moving back into gold in a big way. Gold has historically had a negative correlation with the dollar, so policies that undermine the value of the dollar tend to boost the price of gold. Because at this point we only have an indication that the Fed has intentions of instituting such stimulative policies, investors have a window of opportunity in which to act. Buy gold investments now, before the dollar declines in earnest and gold prices are much higher. The Fed Chairman testifies before Congress this morning. The article below points out that his testimony is likely to disappoint the markets, just because the expectations are so high. This means that stocks will likely fall. It also means that gold will probably fall today as well, but over the long-run, gold has safe haven status and will respond appropriately to a financial crisis, just as it always has. The expectations are so high for Fed Chairman Ben Bernanke Thursday to say something revealing about more Fed easing that he can probably only disappoint markets. Bernanke’s 10 a.m. testimony before the Congressional Joint Economic Committee, comes on the heels of a major stock market rally, inspired in part by optimism for more Fed easing. Stocks had their best day of the year, rising 286 points to 12,414, and the S&P 500 rose 29 to 1,315. “What’s he (Bernanke) going to say? Is he really going to get in a helicopter and dump money?” said Steve Massocca of Wedbush Securities. Developments in Europe could also be key Thursday, after a Reuters story Wednesday quoting German officials said a deal is in the works that would enable Spain to recapitalize its banks with aid from euro zone countries, but without strict new reforms. Markets will be watching as Spain conducts a bond auction, ahead of the New York market open. “Anything out of Europe that would suggest they put an even stronger band-aid on their issues, and if you also get some support from the Fed, then I do think there’s a possibility we continue this rally, but I think we’re increasingly dependant on monetary policy to keep things going,” said Gina Martin Adams, institutional equities strategist at Wells Fargo Securities. Adams said the market’s outsized move Wednesday was a concern. “Any time you get these gigantic moves it actually gives me a little bit of pause with respect to a bear market trend,” she said. Even though some analysts see little impact from further Fed easing with already historic low yields, all types of risk assets roared ahead Wednesday while Treasurys and bunds yields snapped higher as investors unloaded securities that were the safe havens of choice just a week ago. Fed Vice Chair Janet Yellen, however, may have served as a messenger for the Fed chairman when she spoke in Boston Wednesday evening, making a case for more easing. “There are a number of significant downside risks to the economic outlook, and hence it may well be appropriate to insure against adverse shocks that could push the economy into territory where a self-reinforcing downward spiral of economic weakness would be difficult to arrest,” she said in a speech prepared for delivery at an event organized by the Boston Federal Reserve Bank. Bernanke’s tone on the economy will be key, as it was the poor May jobs report last Friday that turned the market view from a Fed on hold to a Fed that may take action at the June meeting or later. “He does need to very specifically reaffirm his commitment to easing and his willingness to ease, and probably acknowledge a lighter economic scenario. I don’t know that the market is so keyed up on his speech that there will be a reaction. I would be a little more worried about Spain then I would Bernanke to move the market,” Adams said. Bernanke got the nickname “Helicopter Ben” after he referred to a statement by Nobel economist Milton Friedman about fighting deflation by using a helicopter drop of money. Besides Bernanke, there is a group of Fed speakers during the day, and there is some key datas, including the 8:30 a.m. weekly jobless claims. Consumer credit is reported at 3 p.m.
San Francisco Fed President John Williams reiterated just before the market close Wednesday that the Fed must be ready to do more to achieve its goals of maximum employment and price stability. Thursday’s Fed speakers include Boston Fed President Eric Rosengren who is on a panel in Denmark at 5:45 a.m. ET; Atlanta Fed President Dennis Lockhart, who speaks on the economy and policy at 12:10 p.m., and Minneapolis Fed President Narayana Kocherlakota who spekas on monetary policy at 1:15 p.m.
Dallas Fed President Richard Fisher speaks on the Chinese currency at 3:30 p.m., and Chicago Fed President Charles Evvans will be interviewed by Maria Bartiromo on “Closing Bell” at 4:10 p.m. The Fed also meets on Basel III recommendation on banks at 3:10 p.m. ET. Traders also said the victory of Republican Gov. Scott Walker in the Wisconsin recall election is a good sign for GOP presidential candidate Mitt Romney, and a negative for President Barack Obama. “I think that’s resonating with people,” said Massocca. “We’re no longer killing politicians that make moves to reduce deficit spending. The stock market Wednesday continued to gain after the Fed released its beige book at 2 p.m. which said the U.S. economy expanded at a “moderate rate” in March and April, better than its previous modest to moderate rate. The Fed, however, also noted that its contacts were less optimistic. “It’s a little bit more upbeat than I might have thought—a little less subdued,” said David Ader, chief Treasury strategist at CRT Capital. Earlier Wednesday, the European Central Bank kept rates unchanged, initially disappointing markets. The Bank of England meets Thursday morning, and there’s speculation it will carry out another round of easing. If the Fed decides to do a “QE3,” that could involve the outright purchase of more securities—mortgages or Treasurys.